General Court details are "Finalized". 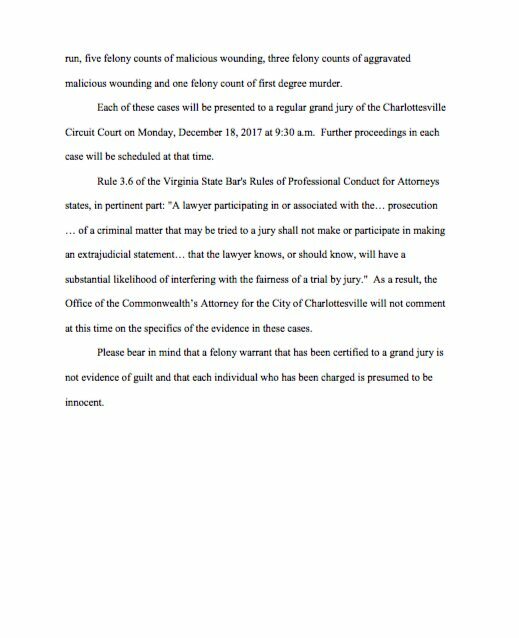 Apparently cases go to a regular Circuit Court "Grand Jury" on Monday, 18th Dec 2017. And future hearing dates will be scheduled then. The SPEED just before the crash, and at impact is already a discussion point, and will likely be important evidence in the Trial. The evidence suggests (see Sonofnewo vid on Challenger arrival time) that Fields waited over a minute after entering the last block of 4h Street. He may have been fully stopped or perhaps rolling forward at less than a snail's pace. You can SEE (in the Gilmore Vid) that the car is not going FAST . The car may well speed up after it is attacked, but still the damage to the hood alone indicates a relatively low speed at point of impact. The distortion to the hood for instance is in keeping with a crash speed in 20 MPH range. The hysterical (and biased) protard "witnesses" who testify to Challenger traveling at "50 MPH" or even "100 MPH"... are silly/wrong. Just for reference. 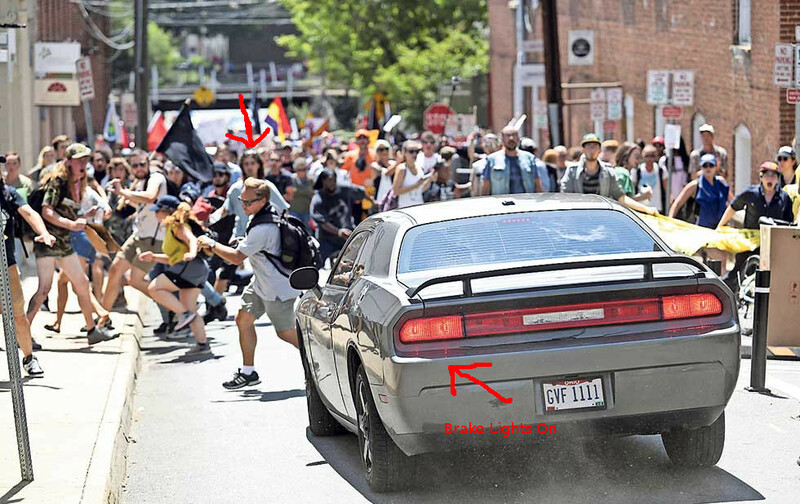 A clear copy of "The Gilmore Video"
Copying My post in regards Reddit analysis since it includes Car speed discussion and stuff on "Bat Boy"
Full investigation on Charlottesville attack. Evidence driver was attacked by armed crowd. I have seen the image many times without quite understanding where it fits in to events. It is CLEAR NOW!!! The damage seen on the bumper was LABELED as damage caused by Bat-boy. But the photo and the WRONG notation is still widely broadcast around the interwebs!! That damage was there BEFORE Bat-Boy did his thing. It could be very old damage, or damage done that day but prior to Bat Boy!! This is zoom lens type shot.. taken when Challenger is back up 4th street.. Just before Gilmore's video starts... Gilmore's video showing the next bit of Challenger's progress down 4th Street.... as it traveling last bit, past bat-boy and into the crowd. In the Gilmore footage as the camera is lifted you catch a glimpse of Challenger brake lights on, the same event as seen in the still photo, in fact as the camera raises further to show the view down 4th street, and the Challenger moving down, you see the same dude with back pack shown in the still photo, completing his "narrow escape" to the sidewalk... Bat boy is seen beyond him. Now. These events from the point in which he crossed the intersection and struck the first pedestrian occurred in a total of six seconds. While we have the luxury of multiple days to judge the decisions made here this young man had a very short window of time. From realizing he was unable to turn away from the crowd to his vehicle being approached by the first armed individual. Notice he does not target anyone on the sidewalk and he does not target anyone before the first strike of the bat and after he gets clear of the crowd. Note he even slightly swerves to the right to avoid the first individual approaching the vehicle with the weapon. 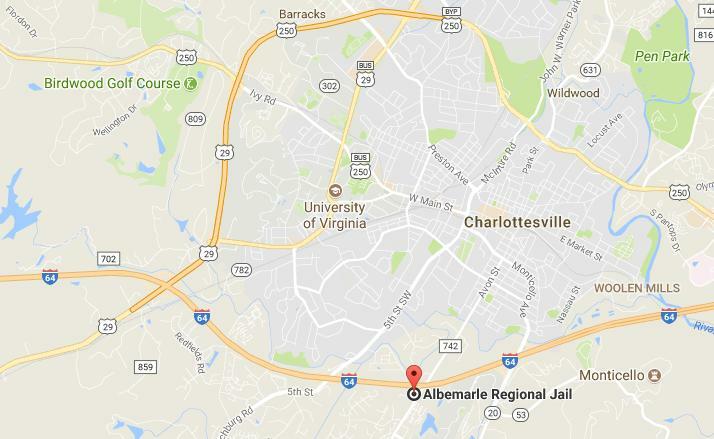 There are no reports that the individual attempted to flee the police or even resist arrest. These do not seem to be the actions of a malicious terrorist or someone attempting to maximize death and damage. These seem like the actions of someone unfamiliar with the area and a panicked flee from a large group of individuals with multiple of them being armed. This is not all the evidence gathered in the past 24 hours. Just the results of what we've done on a small and isolated image board away from people who tend to derail conversations. We are now attempting to get this investigation out to the general public though we fully expect to be brigaded and shilled into oblivion. If you see or read this please share or spread the information. My GUESS is that Fields was cruising around in his car looking for a new gathering of "his team". I don't think he wanted to find himself alone in the middle of hundreds of the Alt-left/Alt-daft. The one-way Street system meant that Fields ONLY route South from Market Street was via 4th Street (one way). Imagine... driving down a narrow ONE WAY city street.. in your own car.. likely a prized possession... a large part of the few worldly possessions you have amassed in life. You would NOT take kindly to people kicking/ bashing your car with posts etc. Anyway.. a ONE WAY narrow street... you drive (slowly) down one block, across the paved pedestrian "mall" of Main Street, and enter the top of the last block of 4th Street before reaching Water Street, and only then see at the far end of 4th Street, the crowd just starting to walk up, they and two cars blocking your ONLY way to continue traveling. The street is too narrow to do a U turn, and besides it is ONE WAY and so driving back the way you just came is not an option. Reversing all the way back across Main Street, and then an entire block is an option... at a pinch.. but few people would launch into that. (Note: that was what Field eventually had to do to escape, but It's still NOT an obvious option initially). The evidence suggests (see Sonofnewo vid on Challenger arrival time) that Fields waited over a minute after entering the last block of 4h Street. He may have been fully stopped or perhaps rolling forward at less than a snail's pace.. who knows. He may have been waiting initially for the (small) crowd to pass by, but the crowd just grew and grew and filled the lower end of the street, and more kept coming. IMO... he eventually decided his only option was to proceed through the crowd... slowly with caution.. and started to do that (no doubt with fear and trepidation)... but as he drove down the street he was harangued. He had people step out in front of his car and had to BRAKE to avoid hitting them. After that there were other menacing gestures towards his car and he became fearful for his own safety (at the very least fearful of damage to his car). And then bat boy actually attacked his car viciously at the same time as a now apparently huge angry mob advanced towards him. I think Fields (20 years old) PANICKED and decided to up his speed... (continuing down the ONE WAY street being his ONLY option to get anywhere, especially away from the mob).....assuming the people in the mob would jump out of the way (as they have been seen to do in video of similar events). I am not sure (I doubt) Fields even knew there were 2 cars that would ultimately be an un-shifting road-block. He thought to travel the short distance remaining, through the crowd which would be forced to part and let him through. The rest... as they say... is history. 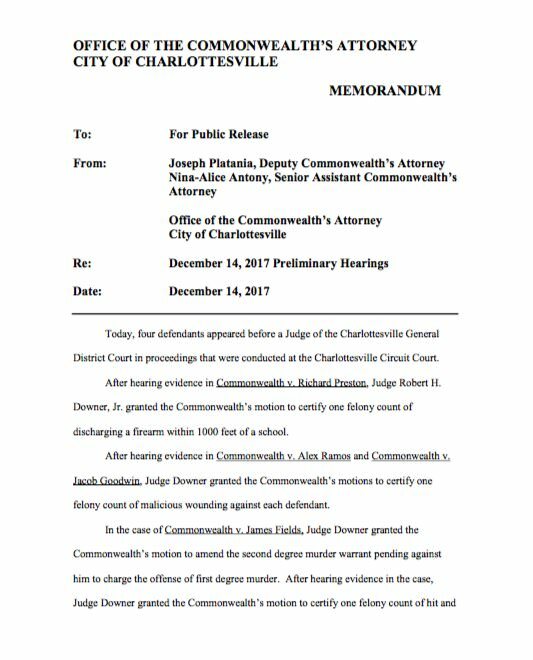 Transcript of James Fields's December 14 preliminary hearing.